Just about a month ago we started our workout journey at Curves® and it has been a fun, positive, and successful month. 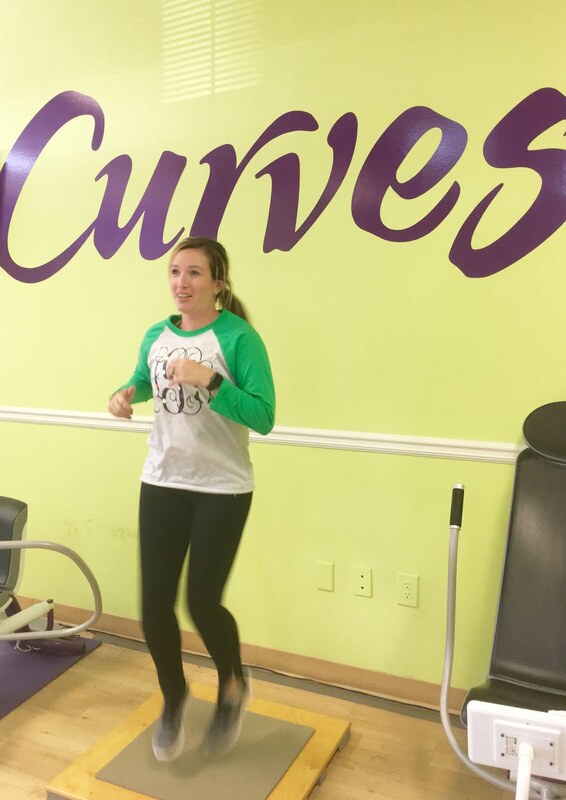 We went into this month excited to really learn what Curves® is all about and discovered that it is so much more than just exercise. 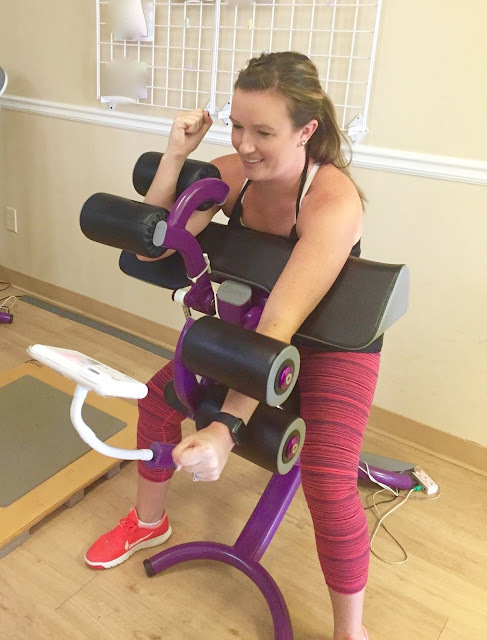 The workout at Curves® is set up as a circuit type of training. You alternate between cardio and hydraulic resistance machines to help keep your heart rate up. 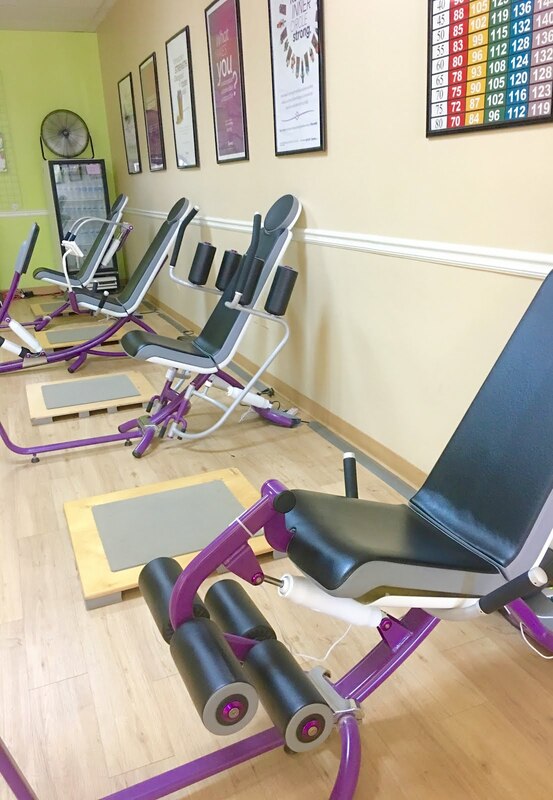 Each machines is set up strategically focusing on both upper and lower body muscles for a full body workout. Music is playing and there is an announcement when it is time to move on to the next station. It's so easy you literally have someone telling you when to move on. We were not familiar with hydraulic machines at first and on our first attempt they seemed too easy. 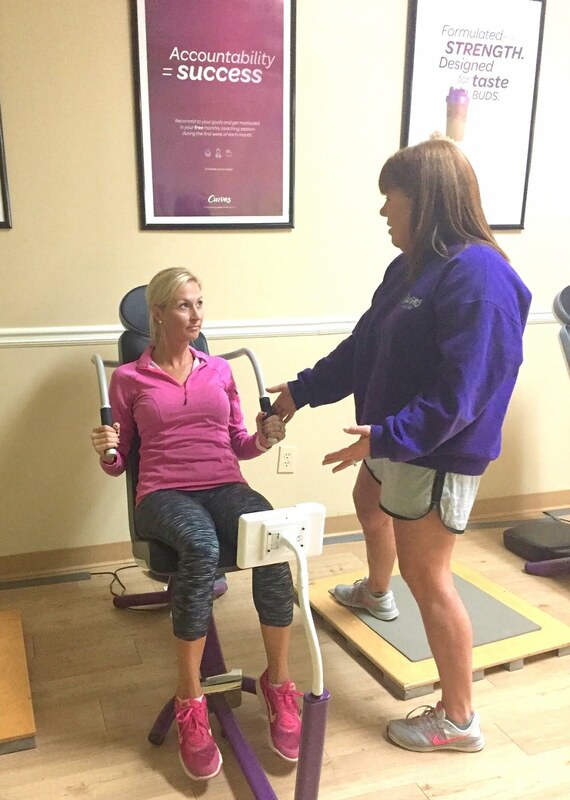 Then we learned that the faster you do the machine the more resistance you will receive making it great for anyone at any age or fitness level. The other piece of the puzzle is the cardio. In between each machine are the cardio stations and there you can alter the cardio for your needs. 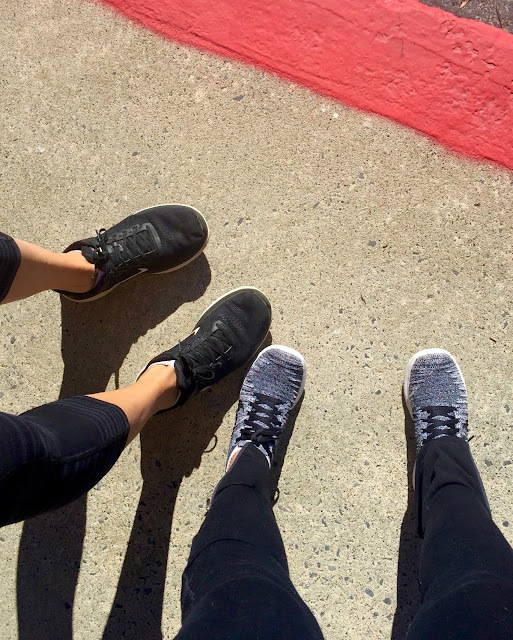 If you really want an intense workout you can do quick high-knees running in place for 30 seconds, but if that isn't your speed you could even just march in place. It is all about what works for your fitness level! You repeat the circuit twice and then do the pre-determined stretching and that gives you the 30 minute workout. We loved that we could get in and out in a half an hour and still feel like we got a great workout. When we first joined Curves® we were so impressed with the amount of support we received! The women who work there are truly invested in what they do and they are so encouraging and supportive of each and every person. It doesn't matter if you are brand new or a regular, they come and check on each person, make sure they are using the machines properly and getting the most out of their workout. We were given such great instructions and support as we made our way through the circuit the first few times that we knew exactly how each machine worked. However, we never had to feel embarrassed or nervous to ask a question if we forgot how something worked. They do a monthly weight and measurement session which makes some of us want to cringe, but it is really fantastic if you can get past seeing the numbers. They help you to track and celebrate your progress each month which we absolutely loved! 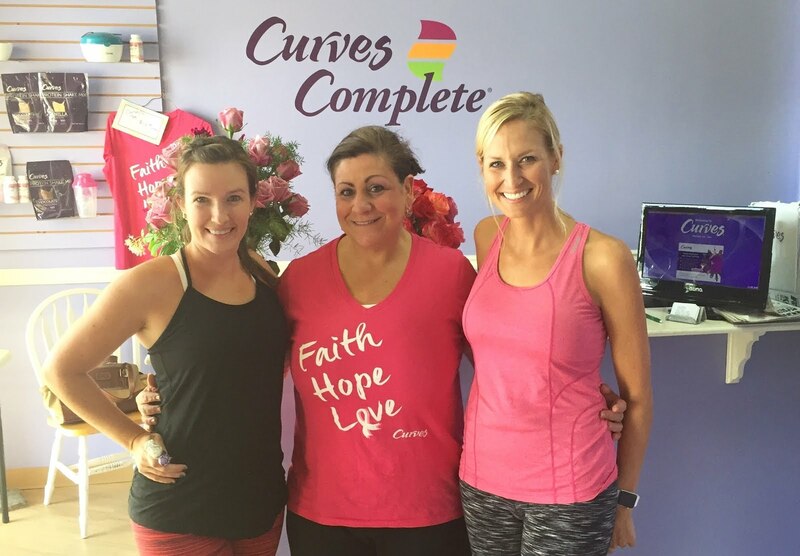 Hands down the most amazing part of our Curves® experience was seeing and being part of the amazing community. 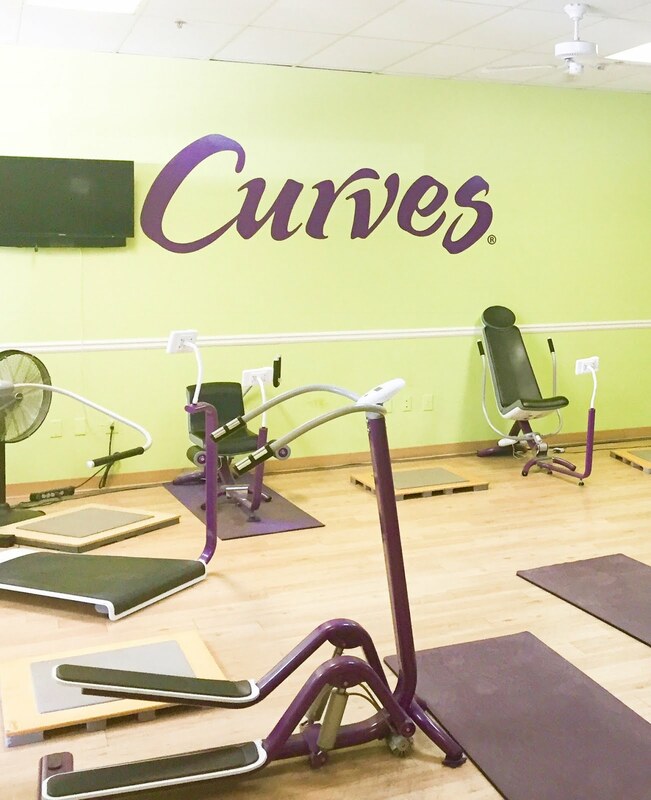 We met women both young and old who were from all walks of life, but they are what makes Curves® way more than a workout. You may come in with a friend or you might visit alone for the first time, but we guarantee that no matter who you are you will walk out with a smile on your face and feeling like you've met a new group of friends. The 30 minutes spent in this setting were some of the most positive, uplifting, entertaining and heart-warming minutes that we spent all week long. We laughed until we cried somedays and learned something new with each visit! We met single women, married women, widows, mothers and even young soon-to-be mothers from another country living abroad for a few years. The topics of conversations ranged from favorite football teams to meal-prep and holiday plans to fashion. It didn't matter that we were new to this group, we were part of it and it felt so welcoming. 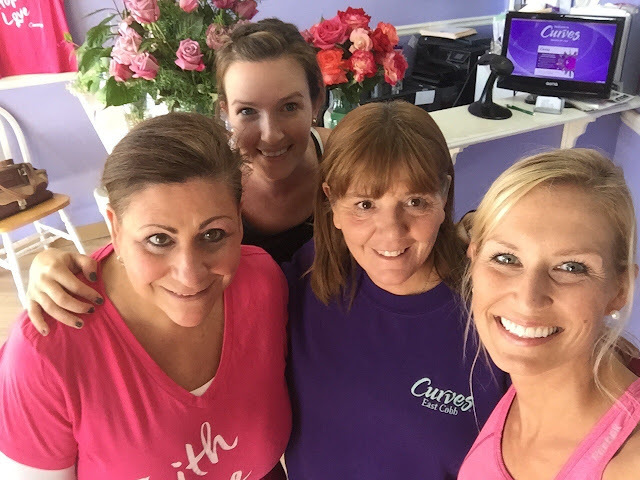 We wished that we had known about Curves® when we were brand new moms and just longing for some adult interaction because we would have gotten that and so much more at the time. It was wonderful for us to be on this Curves® journey together because although we are best friends and talk (or text rather) on a daily basis, we don't always get to see each other all that often. This really forced us to take time out of our busy schedules to do something for ourselves. Something to take care of us and not just our kids and to spend some quality time together. As we all know, moms just give and give and give to our families and often put ourselves last. Being a part of Curves® is the perfect way to take a little time out for yourself and become a part of this amazing community, too! This post was sponsored by Curves International, but, as always, all of the content, ideas and opinions are our own.